Since 1984, Tm Ice Cream has been your loyal neighbor, and the link to your childhood memories of ice cream favorites. Throughout the years a lot has changed for the better including the look of the ice cream trucks, and Tm Ice Cream has been the leader all the way in innovation, quality service, and products. Tm Ice Cream is committed to keeping this unique and fun American tradition. You will see Tm Ice Cream truck in your work places, schools, daycares, and the neighborhoods. 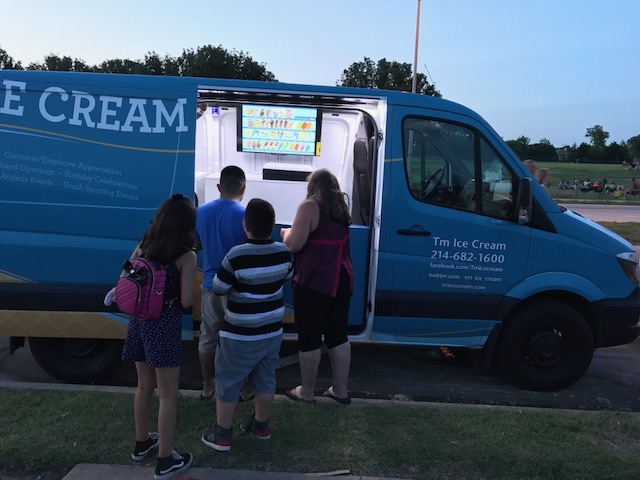 Please don’t hesitate to contact Tm Ice Cream for any event you may have in mind, big or small, anywhere in the DFW Metroplex area.